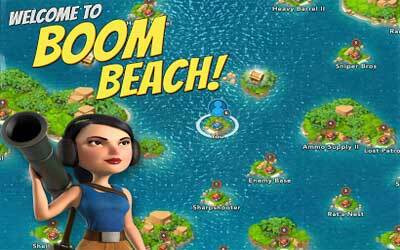 Previous version Boom Beach 31.132 apk for Android will help you to downgrade or install older app easily. This is one of the best Strategy apps. The good thing about this game is the social feature or multiplayer game mode. Thanks to this, you can interact with the other players around the world and create a task force with them. This is so challenging. Scout the enemy bases, plan the strategy and boom the beach. How about the game graphic? The graphic of this game is pretty impressive. Maybe this is not as detail as PC strategy games, but the graphic looks so fun. It is simple just like the other strategy games in Android platform. There are several features available in the game. Besides featuring multiplayer mode, players can upgrade their base with the precious resources too. A unique feature such as facing Blackguard Bosses and uncover the evil plans is also available and make the game more fun. Boom Beach is available for free. You can download it and play without spending your money. But there are special game items that can be purchased with the real money. If you want it, you can purchase any special items. New Hero – Dr. Kavan the jolly tribal medic with abilities including Crystal Critters, Ice Shield, and Second Wind! Blackguard Base Builder – Hammerman’s newest creation allows you to create Blackguard Bases and test them out in real time! Tribes – Available for HQ20+, you can now support the Tribal sectors and gain new bonuses via the map! Keeps me entertained. Some attacks require thought which makes this a nice challenging game to play.